The first outfit on the left: I totally love this outfit, the Pop-Art Tee goes with almost anything yet I like the dark skinny Jeans with this the best, then the Brown belt, my leather jacket and some Sneakers, and I´m ready to go!!! Sometimes I like to pair this Outfit with some long dangling earrings. 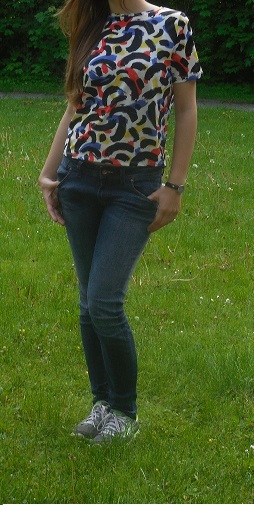 The 2nd outfit, it´s one of my ” Gosh I have nothing to wear”- outfits, which is pretty and nice, yet nothing Special. 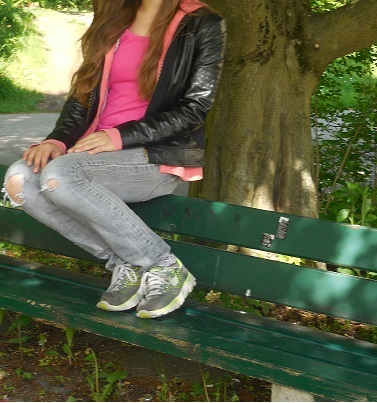 On days like that I just throw on my pink t-shirt, my collage-style jacket, some Pants, my Sneakers and if it´s cold; my awesome leather jacket!! !